This hole is a straight par 4 that runs slightly uphill from the tee. The trouble from the tee is down the right side in the form of a dense copse of trees. 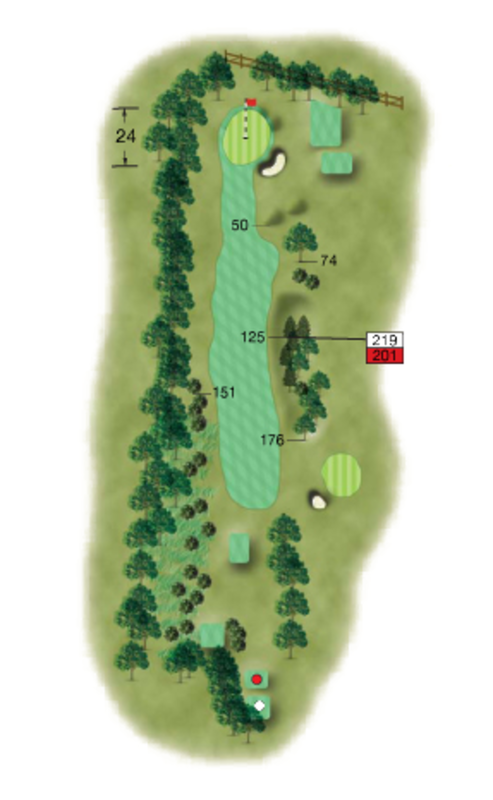 The green is particularly small and guarded by a lone bunker on the right which tends to gather any ball that lands short. Keep left off the tee to open up the approach to a very small green. Note the pin position for the next on your way past.